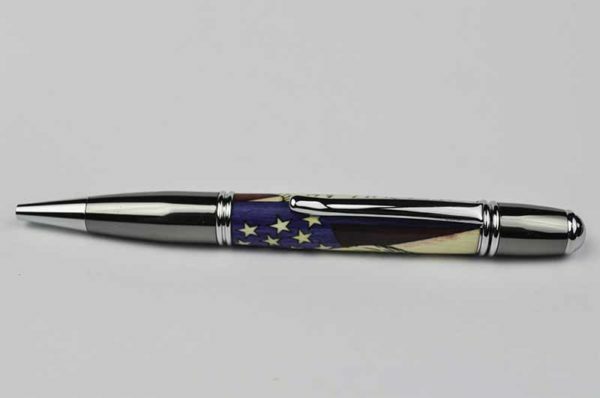 As with the original Gatsby pen, this Gatsby not only shows mystery, flair and elegance but is perfect for anyone who wants to show their love for America. 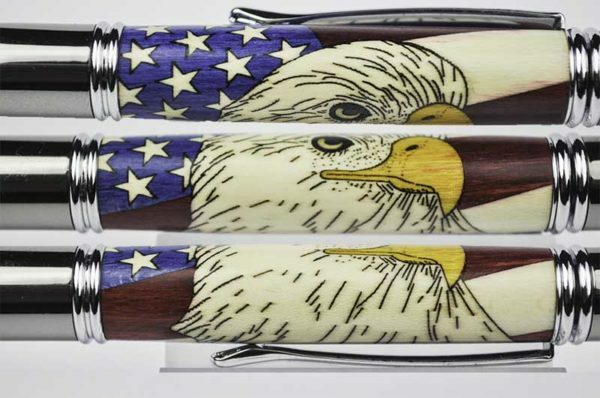 This pen majestically shows the head of a bald eagle with the Stars and Stripes behind it. 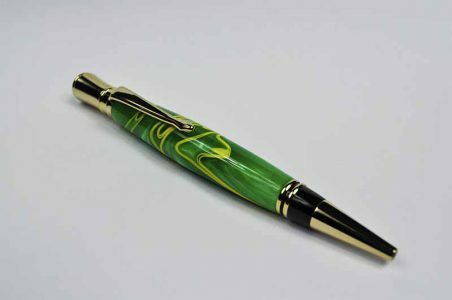 Each piece, including every star right down to the nostril on the beak, is intricately placed before turning. 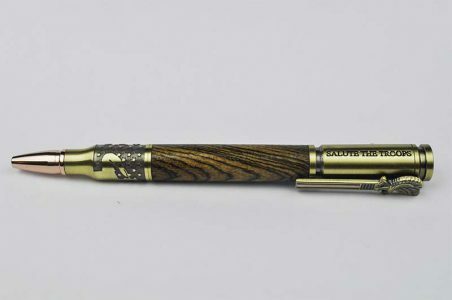 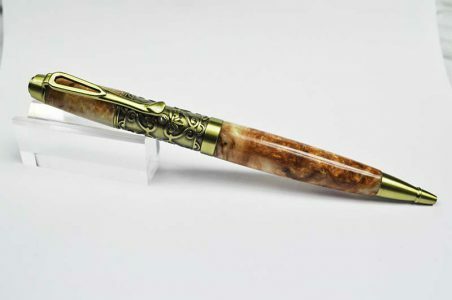 This gorgeous pen features a gun metal finish and a smooth twist mechanism. 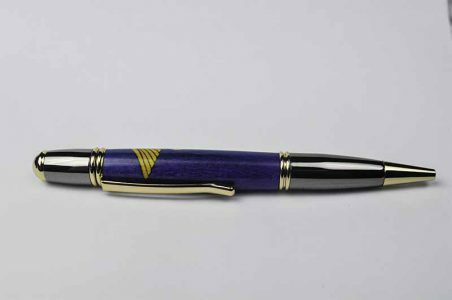 The body’s background is a beautiful blue. 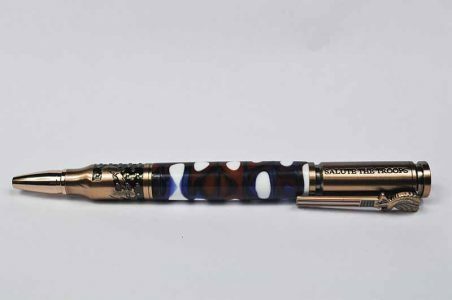 This pen accepts Parker™ style ballpoint refills.